Since for now I will not be able to verify the spelling in Gaeilge of some of the town names I'm including, I ask you to excuse any errors (which will be corrected as soon as I know the correct orthography). 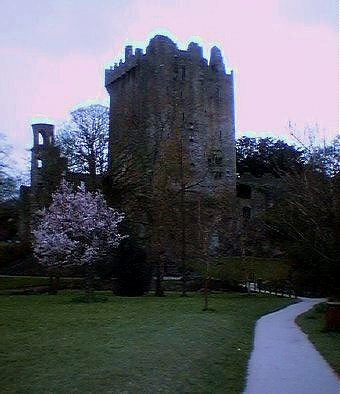 At any rate, here is the famous Blarney Castle. 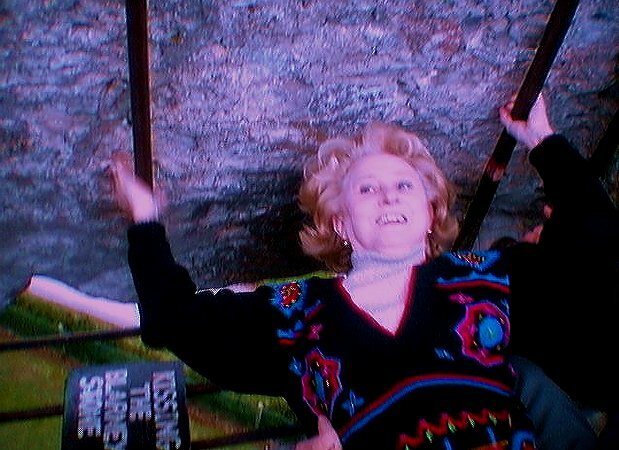 It was advised before the parents left the US that George not kiss the Blarney Stone too many times, considering that "he had enough of it already". The gift granted to the kisser of the stone is euphemistically referred to as 'eloquence'; nevertheless, we all know what the 'blarney' really is. And who is this kissing the stone? Oh boy, there she is, lying down, leaning over backwards, on her way up from kissing the stone...all the while at the very top of the castle - situated a good distance from the ground below.